It saddens me to have to write this post. By now, most people in Delaware, and especially Sussex County, have heard about the recent trouble my very own state Senator, Brian Pettyjohn, has found himself in. It has been reported by media outlets, this past Thursday, Sen. Pettyjohn was preparing to board a flight, out of Salisbury Regional Airport, when a routine baggage inspection by a TSA officer revealed a loaded handgun in one of the Senator’s carry on bags. The gun was reported as being a Smith & Wesson 9mm handgun, and was loaded. Senator Pettyjohn is, within Delaware, a high-profile conservative Republican, making many appearances on local talk radio, and is often a go to, for the media, when seeking the GOP point of view on any given topic. He is also known as a strong supporter of the 2nd Amendment, and gun owner’s rights. This run in with the law, will surely cause gun control advocates to take aim at him. He has been known across party lines as a level-headed legislator, but this could cause his popularity to take a direct hit. It is not hard to imagine him becoming a target for the left as an example of why stricter gun laws are needed. Before I go any further let me say, Senator Pettyjohn is my Senator, but more importantly, I consider him a personal friend. And to be honest, this won’t hurt him in his district. The problem he is facing, is the charge for bringing a loaded gun to a check point, at an airport, is a felony, if convicted. There are some unanswered questions about this case, mostly because, the Senator is being quoted as saying, “Upon giving my statement and a computer check of both my record and my handgun, I was released to reschedule my flight,” . One has to ask, had this been the average citizen, would they have been interviewed and allowed to proceed on their way? In the current climate, what if this had been a person of middle-eastern heritage, possibly wearing a turban. Would they have simply been interviewed and released? Would a person of a minority race, have found themselves face down on the floor of the airport, or worse? “After interviewing the senator, the deputy believed that there was no malicious intent on behalf of the senator to board the aircraft with a loaded weapon,”. So, do any of the readers here at Delaware Right think they could have talked their way out of a trip “DOWNTOWN”? Of course when they ran the background check, it obviously came up showing him as a Delaware State Senator. The gun was confiscated, and a Deputy wrote up a document charging Pettyjohn with one count of attempting to board an aircraft with a firearm, a charge that can carry up to, a ten-year sentence. Now however, following the media explosion, one report after another, coming in machine gun style, it seems as though the Maryland District Court Commissioner will be serving official notice to the Senator upon his return to the area, he is being officially charged. This surely means the Senator will be facing a day in court. Though the Senator is not facing a re-election campaign anytime soon, this will surely be ammo for future opponents. Of course there are serious political aspects to this case, since it involves a sitting state senator. But let us take a step back and simply look at this on a personal, individual level, of responsible gun ownership. Following the incident, Sen. Pettyjohn gave a statement to the News Journal about how this happened. “It’s just one of those things where I didn’t check that one little flap, and there it was,”. Just one of those things? Didn’t check that one little flap? And there it was? Really? As I said, I consider Brian Pettyjohn a personal friend, not just an associate, and while it may appear I am unloading on him, real friends shoot straight with their friends, they don’t make excuses, or pull their shots. In the same interview, Sen. Pettyjohn also said in siting the recent shooting of Republican legislators in Virginia, “Personal protection of myself and my family is of the utmost importance,”. So Senator, which is it? Did you forget where your gun was? Or did you have it with you because personal protection is of the utmost importance? I am sorry, but neither scenario plays well for Sen. Pettyjohn. The first says, as an outspoken, and very public advocate for gun owner rights, was forgetful, and or careless about the whereabouts, and storage of his firearm. Any individual who receives a concealed carry permit, must go through a course, which includes both actual firearm training, and also class time about the proper procedures and responsibilities of ownership, including when traveling. Any person of the least intelligence, of which I am positive the senator possesses, would be able to research the proper way to transport a weapon when traveling by air. I am having trouble accepting, a person could lose track of a weapon, which is somewhere around seven inches long, five inches high, weighs approximately a pound and a half, and one would assume, has regularly carried this weapon in this particular case. This leads us to the other question about the Senator’s statement about his concern for his personal safety. If, and I truly hope it was not the case, but if, Sen. Pettyjohn did intentionally carry this weapon, in a concealed manner, into Maryland, he broke the law, since Maryland does not reciprocate Delaware law, and if he had by some chance, passed through the screening in Maryland and arrived in Louisiana, which was his destination, he would have again broken the law, since Louisiana also does not reciprocate Delaware law. I have to shoot straight here, after reading the quotes attributed to the Senator about this incident, I just don’t know if I feel he has taken ownership of his actions. To say it is just one of those things seems to minimize the severity of the charges he will be facing upon his return. Of course any admission of intent to carry the weapon, would mean admission of intent, and likely lead to a conviction. It would also seem to suggest a certain amount of hubris in thinking he could possibly get by, based on his position as a state senator. I am not sure the absentminded professor defense is any better. The problem is, there is no question he approached the checkpoint with the weapon. Notice under the section, Security Violations by Individuals for Prohibited Items Discovered at Checkpoint/Sterile Area/Onboard Aircraft , a loaded weapon is obviously one of the violations. $3,000 – $7,500 + criminal referral is the punishment. So it would seem as though Sen. Pettyjohn will most likely face a fine from the TSA, since there is no question of having brought the weapon to the checkpoint. The criminal referral is where it could get dicey. He could face both charges of carrying concealed in a state where not permitted to do so, and or criminal charges for attempting to board a flight with a loaded, improperly stored weapon. Some may wonder how anyone who calls themselves a friend could write this. I hope others, as well as Brian Pettyjohn recognize, a friend who truly feels bad for their friend, but in doing so, also holds their friend accountable for their actions. Trust me when I say, I have made some really bad decisions in my life, one recently forever changed my life. But I owned it, I took full responsibility for my actions, suffered the consequences, picked myself up, dusted myself off, and have moved on with my life, and I am proud to say Brian Pettyjohn was one of the people who stood beside me and gave me support. And I say here and now, the last thing I want is for this to be a headshot to his future political career, and I will stand beside him, and support him, as he takes ownership of this mistake, as he picks himself up, dust himself off, and moves forward from this, no matter what that means. 30 Comments on "Senator Brian Pettyjohn, Mistake? Or Misfire?" Why did he give that first cover story everything was fine and he wasn’t in trouble? While I recognize your right to publish your thoughts and it is obvious you try to be objective, I find myself bothered at your repeatedly stating Senator Pettyjohn is your friend. Mitch, possibly you failed to read to the end. I did reach out to Sen. Pettyjohn, and am not surprised he did not return my call. I am sure he has been inundated with calls of both requests and support. And in all honesty I made it known to him I would be posting on this. I have posted here about the troubles of John Atkins, who by the way I also consider as a friend of sorts, and other legislators. I feel I would have shown a lack of integrity had I ignored this, or whitewashed over it. Your statement of private versus public might apply had this not already been made public, and I am sure Brian recognizes his friends are disappointed and concerned he has place himself in this situation. Often it will be those who are more concerned more about his political status than his personal well being, who will make excuses. I guess he thought his DE C.C. permit and his State Senator I.D. would get that gun on the plane.Wrong! His other excuses don’t make sense. “Often it will be those who are more concerned more about his political status than his personal well being, who will make excuses.”……. Says who, you? The man made a mistake and is going to have to live with it, along with the consequences of making the mistake, and why on earth would you bring your incident up as if to compare it to his? I’ve known Brian for almost 40 years and the guy is as straight as an arrow. He just made a mistake, like millions of Americans do every day. Pettyjohn is stupid on two counts. One-carrying a loaded gun through TSA-he should get the maximum penalty but I am sure GOP’ers will try to dodge accountability. 2. If he has Frank Knotts as a friend his is also showing below average intelligence. Mike Rowe asked, ” Says who, you?” Wow! Mike nothing gets past you. Obviously I wrote the comment, so obviously I said it. It’s called an opinion, and you are welcome to yours. Learn to read, and read to learn. The title of the post is, Mistake, or misfire? It’s a question. I am not surprised that you fail to recognize, real friends do not sugar coat the truth. I used my incident as a comparison, to show, as you say, we all make mistakes, mistakes which can affect ourselves and our families. We are all human. That may be a reason, but it is no excuse. Brian Pettyjohn will have some tough days ahead of him, and he will need people around him who will give him honest answers, and yes even be critical. What will not help him is having people blaming others and the system, or hoping to ignore this and it will just go away. From what I know of Brian Pettyjohn, is that he is a strong young man, and no matter how this turns out, he will be okay, and a stronger person for it. Criticism is not always condemnation. It will be up to Brian Pettyjohn to decide if I have treated him unfairly, or if I have stood beside him as an honest, yet critical friend. Apparently this is a common mistake made by gun owners. The TSA will most likely issue a civil fine apparently. I’m surprised that this is a common occurrence. I can’t imagine not knowing where my firearms are. FBH, the criminal issue may be carrying the concealed weapon in Maryland. Gun ownership comes with a lot of responsibility, that is not covered or addressed by the 2nd amendment. Anyone with a cc permit issued in DE is made well aware of our surrounding states policy of not offering reciprocity. So I have 3 issues with this incident. 1. carrying a CDW in a state you are not allowed to. When gun possession becomes lackadaisical, accidents happen. It is hard to speculate whether a rank and file citizen would get the same treatment or not, however I believe that his actions should come with the same consequences that would be afforded a rank and file citizen. If that means a MD felony conviction for any of the 3 items listed, then so be it. People trusted to have a CDW should be held to a higher standard. In this case knowledge of the law makes this incident un excusable. 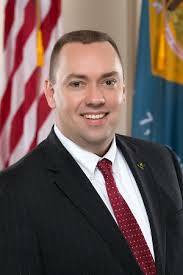 As previously stated by someone else, Brian Pettyjohn is straight as an arrow, always ready to jump in and help others, by all reports he did not try to ” get off ” by trying to pull any “I am a Delaware State Senator ” I D card, instead he readily admitted that he made a mistake, he has a CC permit in Delaware and I believe that it is a well known fact that he carries for his own protection as do thousands of other people in this state, and as such, how easy would it be for anyone that carries a weapon daily to just slip up like this. As far as the crossing the state line, how many CC permit holders have innocently crossed into Maryland with their weapon still in their possession. The man made an innocent mistake and because he is a Senator and a Republican, everyone wants to talk about what may have happened if he had been an average citizen? What probably would have happened if it had been an honest law abiding citizen, with CC permit, they would have probably been fined, it probably would not have made the news and that would have been the end of it. Earl Croswell there is no question of Sen. Pettyjohn’s honesty, or straight arrowness if you will. He is, and has been, in my opinion, one of the best legislators to go to Dover in my lifetime. 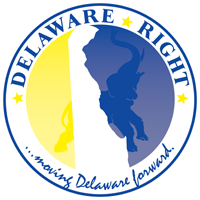 It is a fact, which has been pointed out in the original post, he is lawfully permitted to conceal carry in Delaware, and there is no need for him or anyone to justify why he chooses to do so. It is here in your comment we may have to part ways slightly. This is where we need to take note, that while we are guaranteed certain rights, those rights come with responsibility. One of those being, knowing when, where, and yes even if, we are in possession of our weapons. To say it is an innocent mistake to “forget” you have a gun in your bag, minimizes the severity of the charges he will face. It also sheds a bad light upon all responsible gun owners. I don’t care if you are carrying a concealed weapon, or if you are hunting dove in your back field, knowing your weapon and taking care and caution at all times is the first rule. Let us say a person forgets they have a gun in their bag, they visit a friends home, set their bag down and leave the room. What if these friends have small children, what if these children find the gun and God forbid the worse thing possible happens? I know there are a lot of what ifs in that sentence, however when we are talking about guns and the proper care with them, it is the what ifs which can get someone killed. Gun owners such as myself, and maybe you as well, and the senator, are under constant attack from those who will use this and any instance to demand more gun control, and further restrictions. They will say, if this man, a public figure and gun advocate, could be so forgetful, what of the average hillbilly, redneck? You point this out yourself when you said, “because he is a Senator and a Republican, everyone wants to talk about what may have happened”. Do the concealed carry laws need to be “federalized”? Maybe, but that is a tricky line to walk for a conservative such as myself, since it would take away a state’s right to self determination. But it is worthy of a conversation. I am confident, no matter what happens, Brian Pettyjohn will land on his feet. And like myself there will be many people ready to help him move forward. I do not apologize, I am not one for the “Oh poor you” method. I am my father’s son, and he held me accountable for my actions, but never left my side. I hope Brian and others will see this for what it is. Time will tell. You have to be a complete idiot to bring a gun to the airport. Period. With “freinds” like you, Brian Pettyjohn certainly does need enemies. I wish him well in resolving these issues concerning the charges. Maybe he’s never been to an airport before? The part that bothers me most is his explanation that he didnt know where his loaded firearm was, but yet the protection of himself and his family is of utmost importance. Wrong…absent mindedly leaving a loaded firearm laying around in a carry on bag is the exact opposite of responsible protection – it irresponsibly places those around him at risk. I doubt he will face any serious consequence for this law violation, but he should. It is the only way people will take these things seriously. Precisely. If i were a family member, I’d look elsewhere for protection. OOphs. Meant Mike, not Rick. Sure, anybody can forget that they put their gun in their carry-on bag. Lots of conferences this time of year. tRump’s Commerce Sec, Wilbur Ross, spoke at one in Germany. He rambled on and on, taking twice the time allotted to him. And so they cut off his mic. The audience laughed. They applauded. This is even funnier, although you won’t see it replayed on Fake News….. He wasn’t speaking about an external and dangerous enemy. Aren’t you people just the least bit embarrassed about how you have fear mongered with Russia-Soviet union for decades, justified infinite defense spending, red scare witch hunts and the like but when it serves your bigoted ideology, the Russians are suddenly our benign friends. The only thing to stop a bad guy with a gun is a good guy fumbling through his bag trying to remember where he put his gun. ← So What Are We Talking About?